So much has happened since my last post but I was unable to share it with you, the Scarborough YHA does not have WiFi. Bloody Hippies must not like the internet. I love Scarborough. 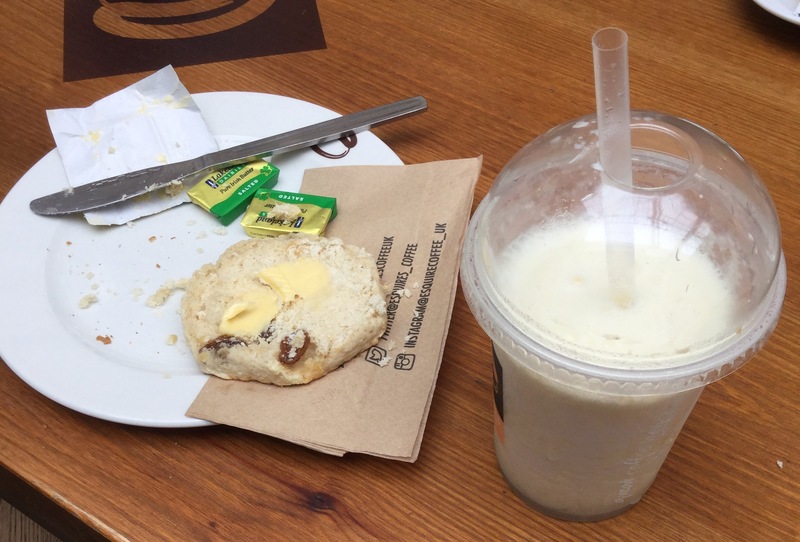 Apparently the “Browns” originally came from Yorkshire and I’m feeling a connection to the Yorkshire coast. It’s a bit like Coastal Victoria but much better. How can you not like the people of Yorkshire. Especially when they call you my lovely. It’s raining here but the people don’t care, they just tighten their raincoats and get on with life. The Scarborough Cricket Ground is tiny and is partly surrounded by old three story appartments. It must be a load of fun to play a game on this ground. Residents in the nearby flats hang their washing out to dry, (an optimistic activity) in view of the players and spectators. 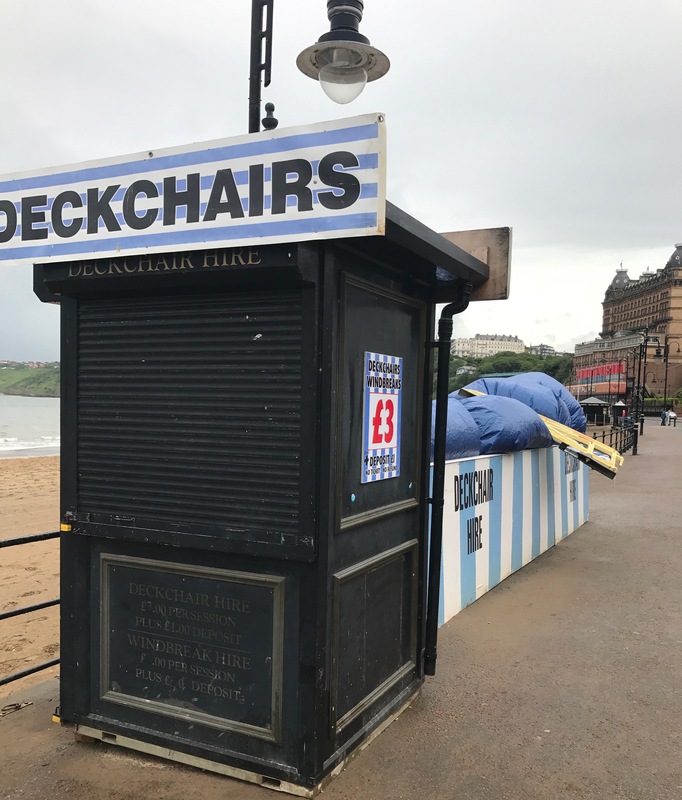 You can hire deck chairs on the beach frontage but I can’t imagine why anyone would. Especially when there’s sand on the beach. Yes I said sand !! I saw it, mind you it’s gray bordering on black and has a strange fragrance. That is a Herring Gull. It’s nesting on an old pipe on an older building. They are the Gulls you hear on the foreign movies. 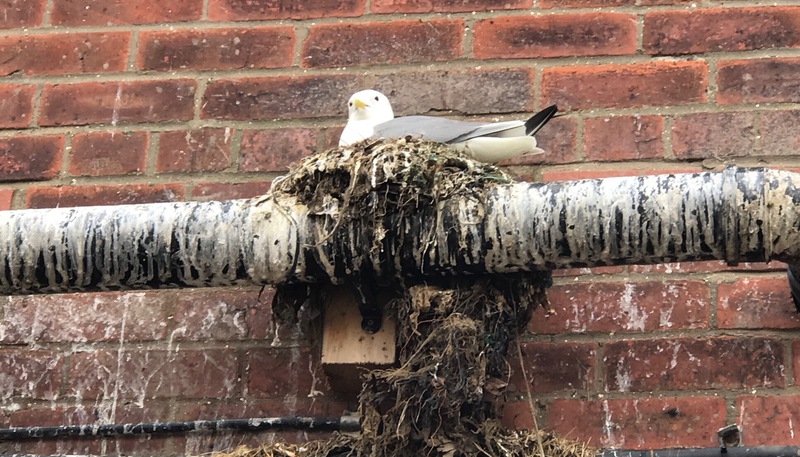 They nest on several old buildings in Scarborough and roost on roof tops along the main streets like the Australian Silver Gulls. 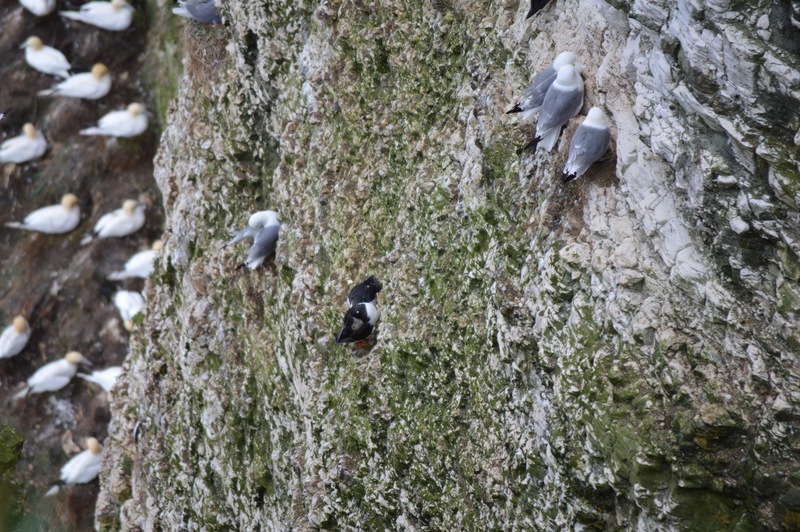 But the reason for my visiting the Yorkshire coast was to see the Bempton Cliffs (click on the blue link and hopefully you will see my poor, short video of The Cliffs), and to see one very special little bird species. The two little black dots in the centre of the photo are Puffins, locally known as Poofens. I don’t have a big zoom lens on my camera but there were several more Poofens and you could see them flying to a spot under the viewing platform – but that spot was out of view. The Bempton Cliffs are amazing and to think locals used to collect the eggs from the nests and shoot the birds yearly is very sad. 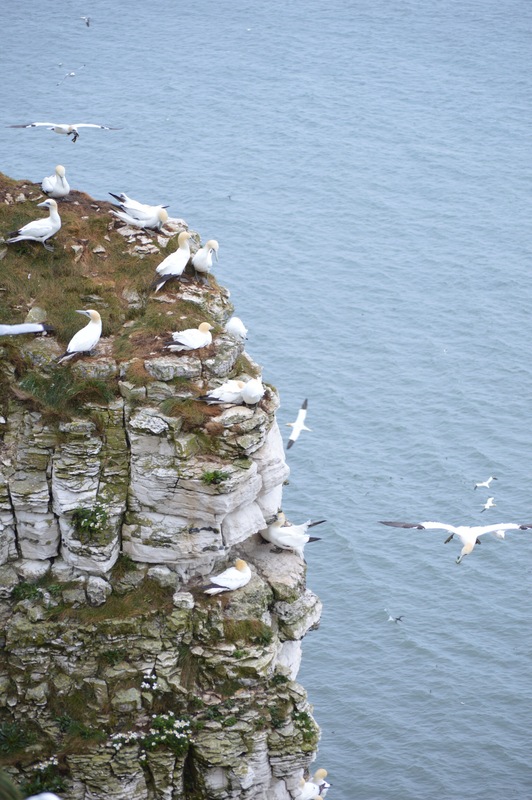 Now the Cliffs are protected by a non government organisation, the RSPB. There are also hundreds of Gannets and other sea going species. 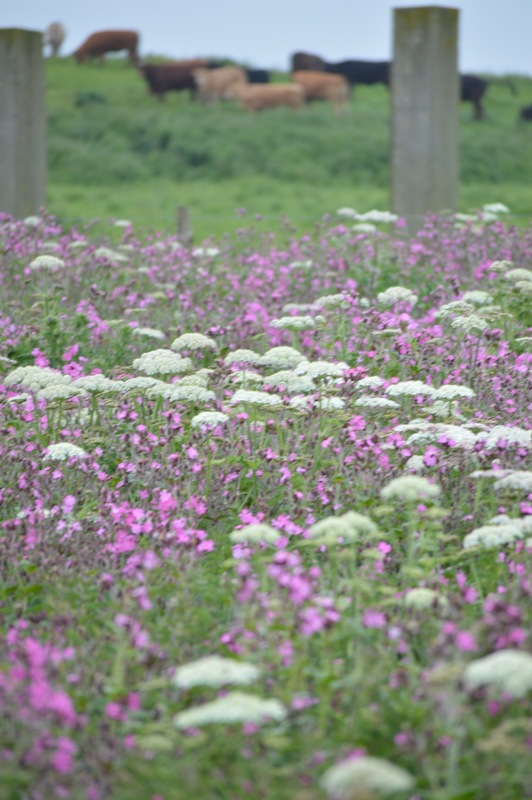 Next to The Cliffs the RSPB leave the grasses and herbs to grow and flower. There are many other species of birds that utilise this habitat. 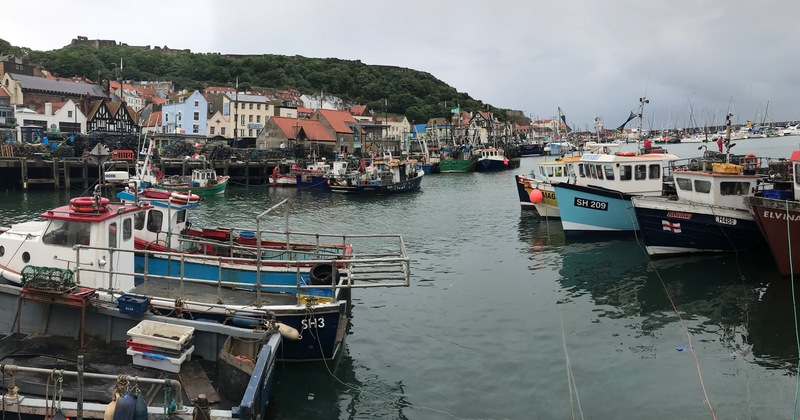 Lastly a shot of the Scarborough harbour with some very smelly and old fishing boats. The Lakes District awaits and it’s less than 300 km away. Absolutely fabulous! Love the mention of poofens my lovely . Any plans to get to the New Forest? Safe travels, if you are enjoying Yorkshire you are going to love Wales. Thanky Thanky for all this good inifmratoon!